Home is where the heart is, and one of my favourite things about going home to Manchester is paying a visit to HOME, Manchester’s greatest independent cinema. Formerly the Cornerhouse on Oxford Road, it relocated to much grander premises a couple of years ago and the (already fairly decent) vegan options have had a similar upgrade. 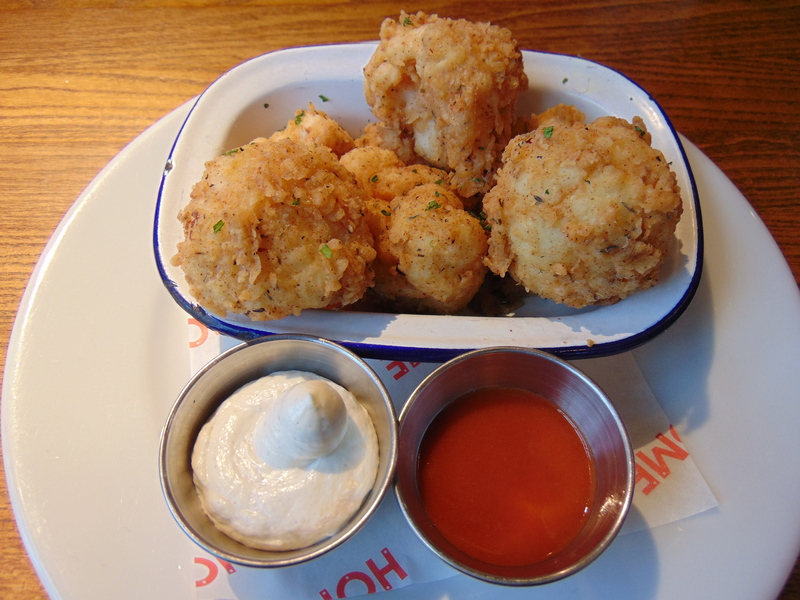 I’m of the opinion that there are few things more delicious than battered, crispy cauliflower. Really, it should be on every menu in the world. 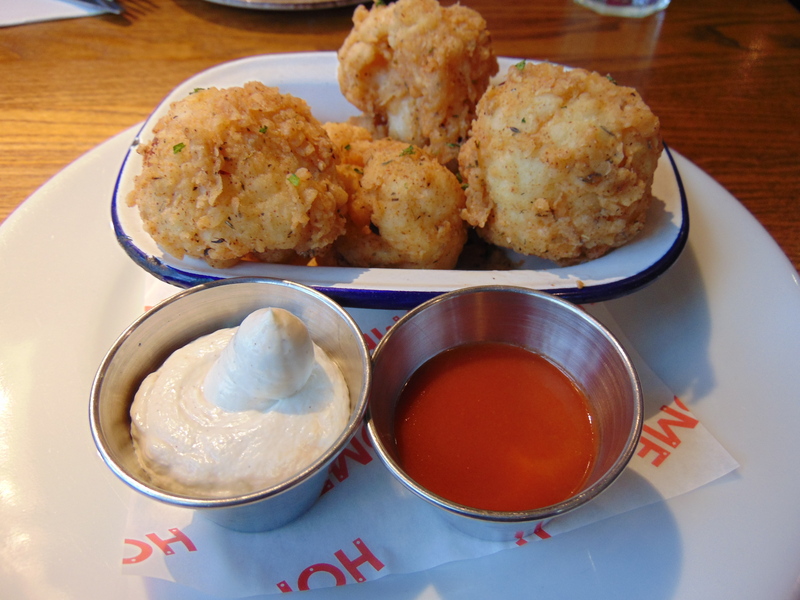 I was very excited to try this, and it certainly didn’t disappoint: an excellent coating, and really tender cauliflower. The menu warns that the buffalo dip is very spicy, so I largely steered clear of that – the vegan mayo was a cooler alternative. I’d urge anyone visiting HOME to try these. For my main, I was powerless to resist the artichoke and wild mushroom pizza. It doesn’t come with cheese (pffft! ), but I’m no fool – I paid the extra £1 to have some added. There are few things I love more than artichoke on a pizza, so this was an absolute delight. 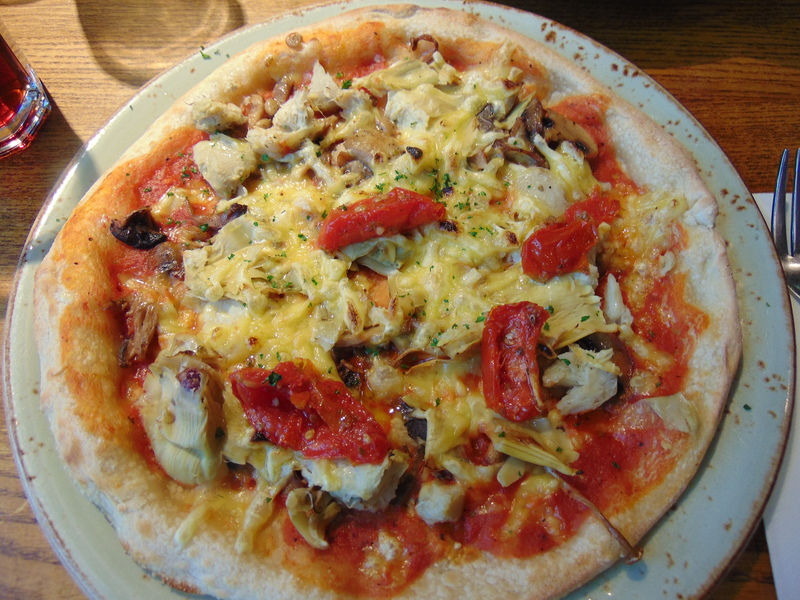 In general, you can rely on HOME for good pizza: a nice thin base, flavoursome sauce. There are only two vegan pizzas on the menu, but they are both solid choices. 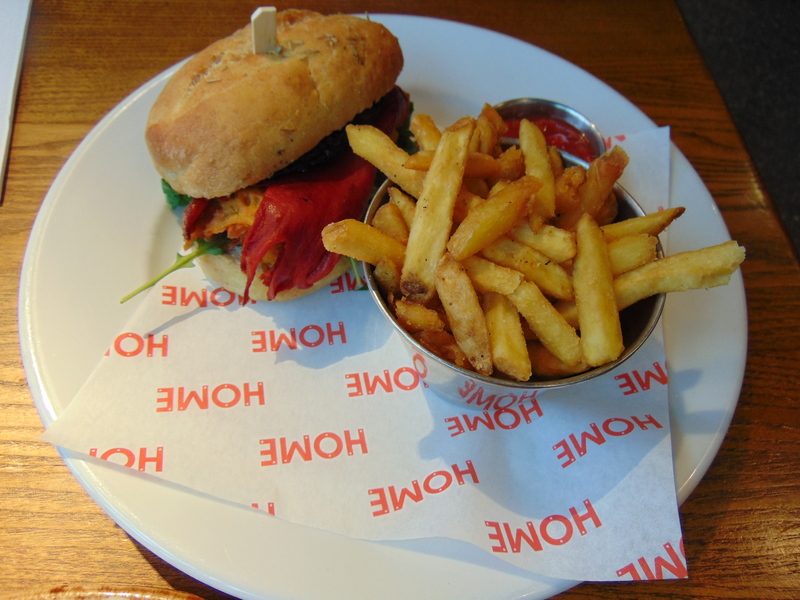 Dr HH surprisingly veered away from the pizza and went instead for the bhaji burger. Doesn’t it look good?! It was in a focaccia bun, and you can see the roasted red pepper slice peeking out there. Unfortunately he found the burger as a whole a little dry, but it was tasty enough. Maybe it’s worth asking for extra salsa! We were quite stuffed at the end of this feast, but you can also rely on HOME for some good vegan cake options too. Whether you’re going to see a film as well or not, it’s always worth a trip HOME in Manchester! 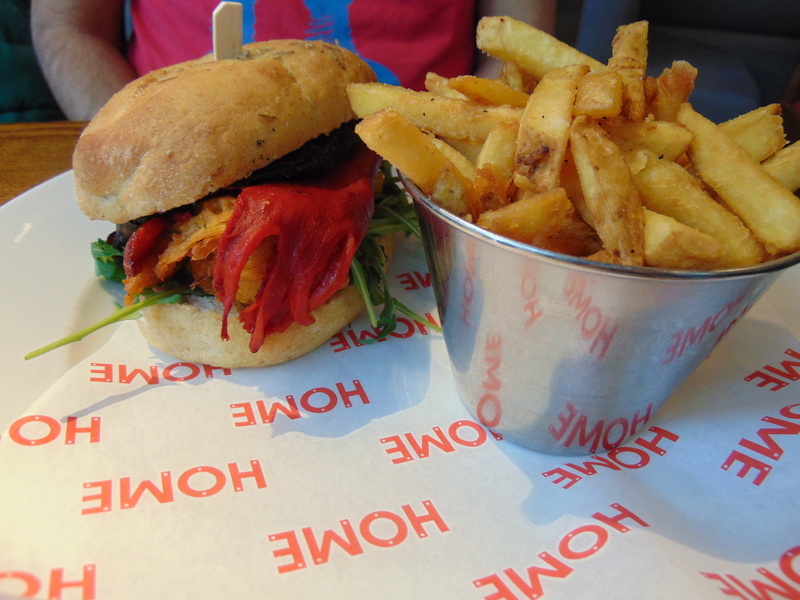 This entry was posted in Travel and tagged HOME Manchester vegan, vegan Manchester, vegan travel. Bookmark the permalink. The crispy cauliflower looks amazing, and yum to that pizza, too!